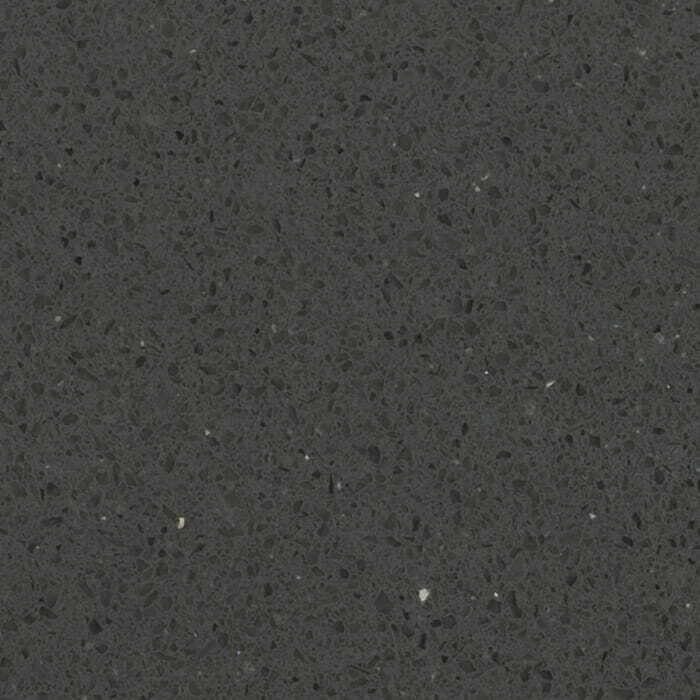 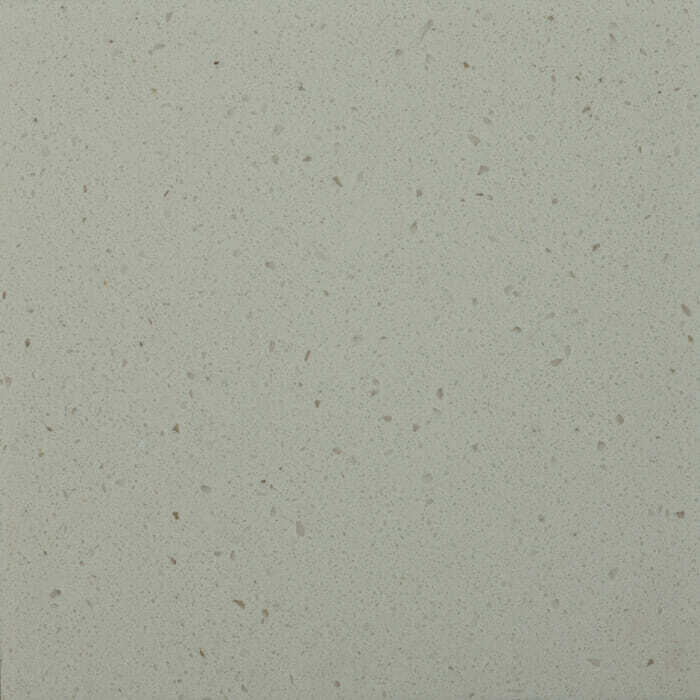 A quartz worktop is substantially harder than a granite worktop. 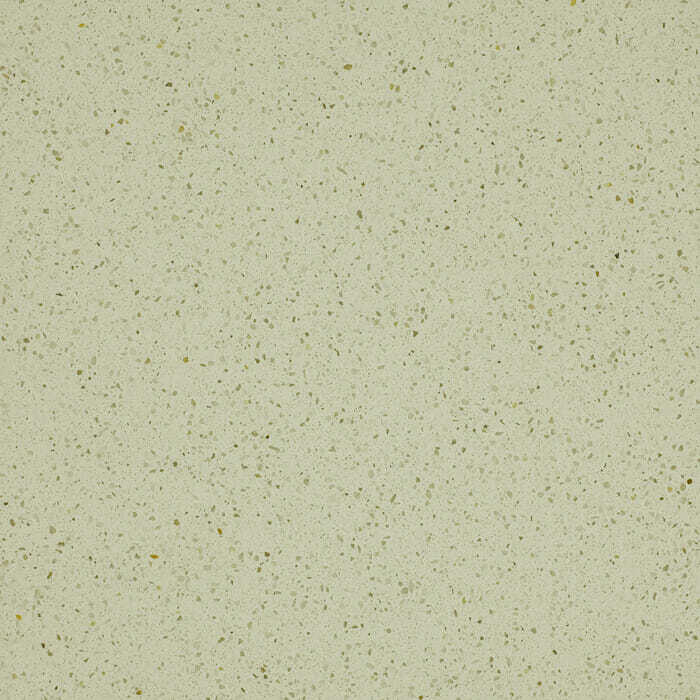 That means it’s not only more impact resistant but doesn’t require any periodic sealing. 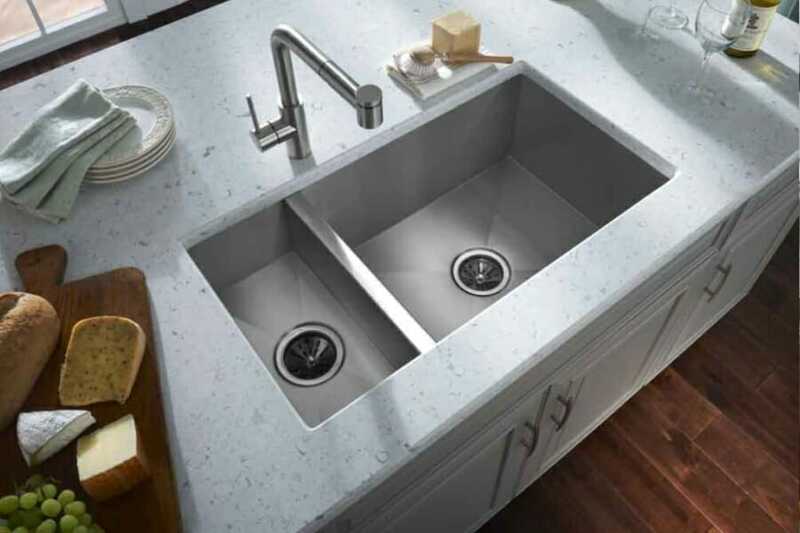 It’s also non-porous, making it nearly maintenance-free as it resists bacterial growth and stains, unlike other natural surface materials. 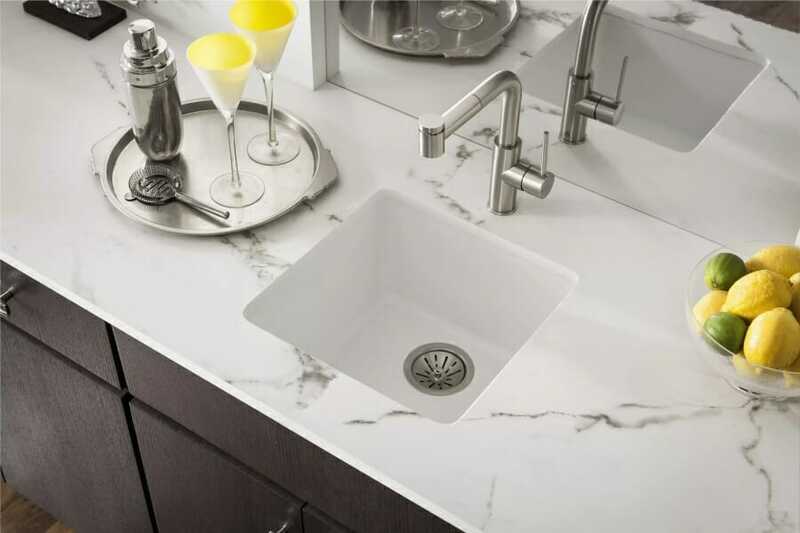 With a Mastercraft quartz worktop, beauty meets functionality. 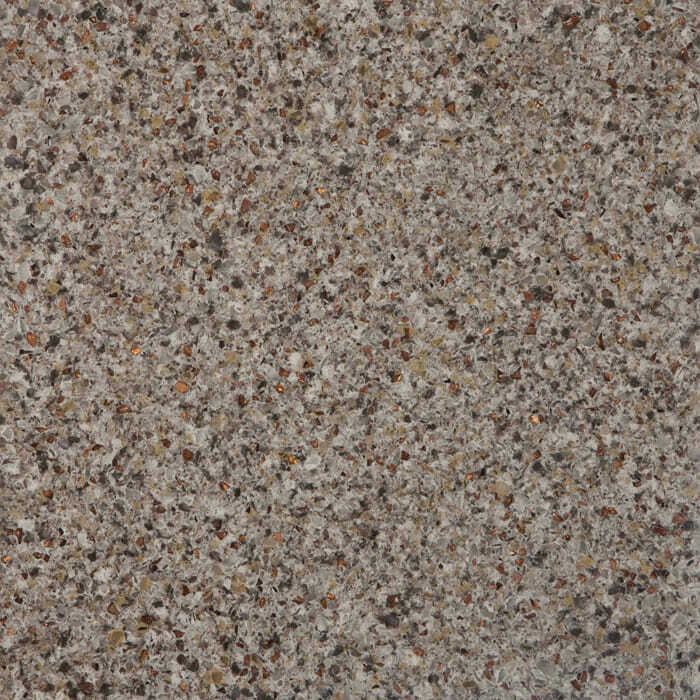 Highly durable, impact resistant and stain/heat resistant. 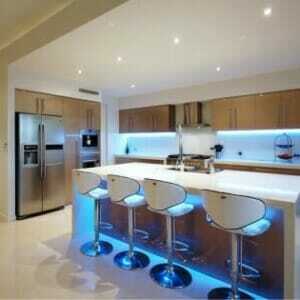 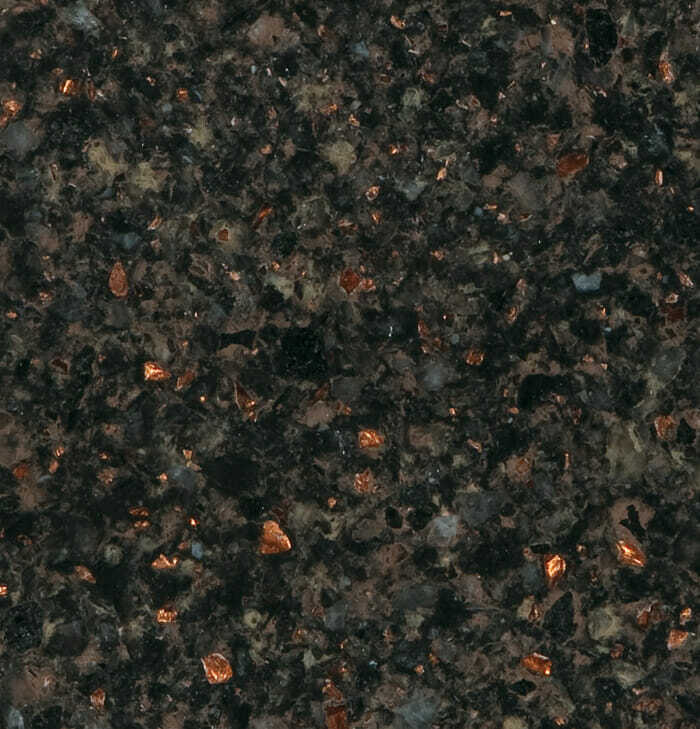 Quartz worktops are quite heat resistant. 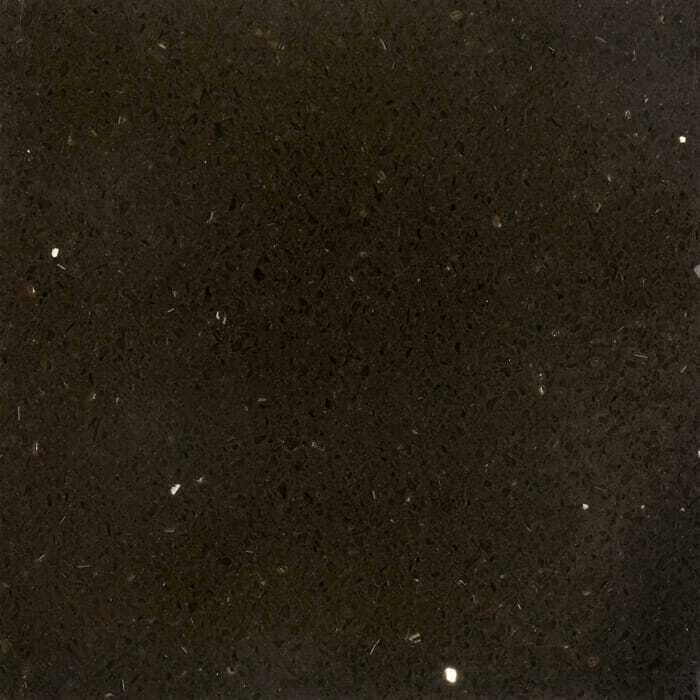 However, placing extremely hot saucepans right out of the oven on the worktop surface is not recommended. 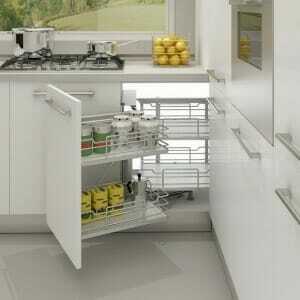 Doing so can lead to thermal shock and fracture. 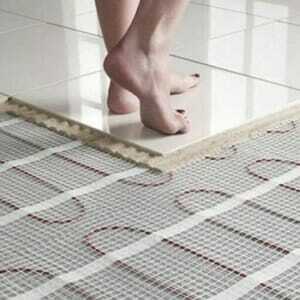 Use a heat pad or trivet to avoid damage. 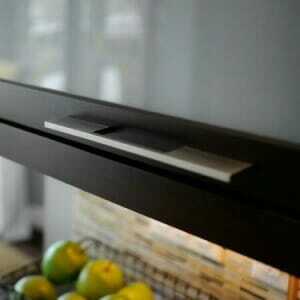 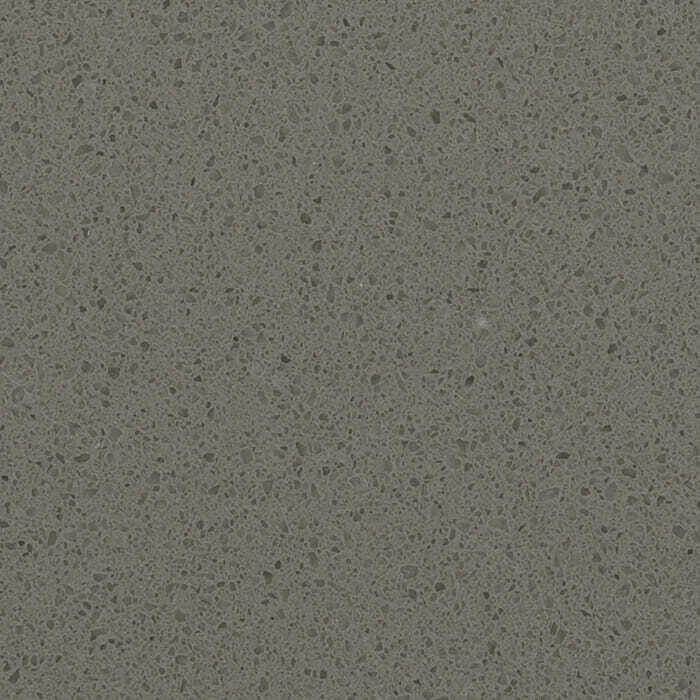 With that said, it’s safe to place quartz against the hob as it can take temperatures well over 250 degrees Celsius. 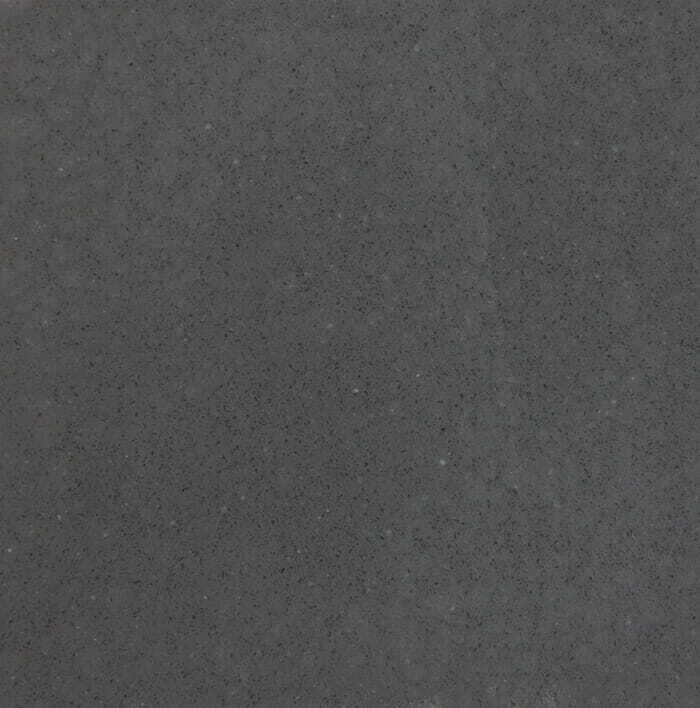 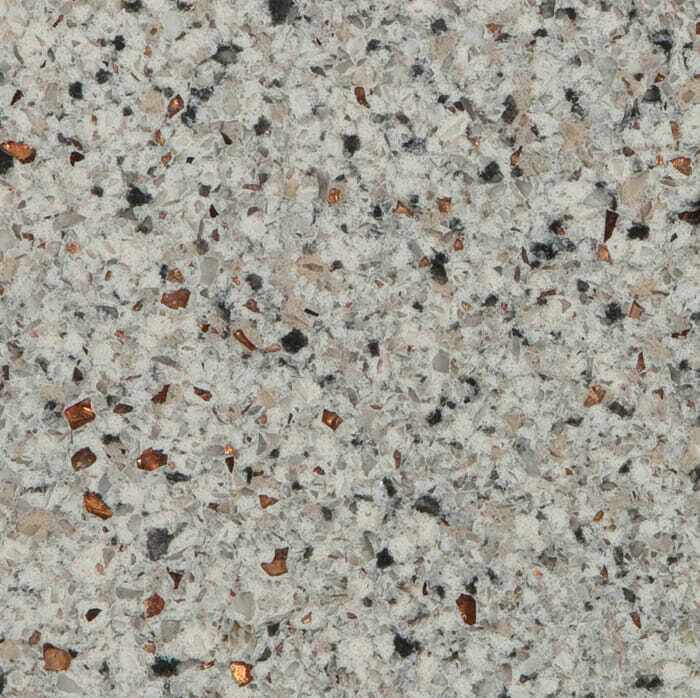 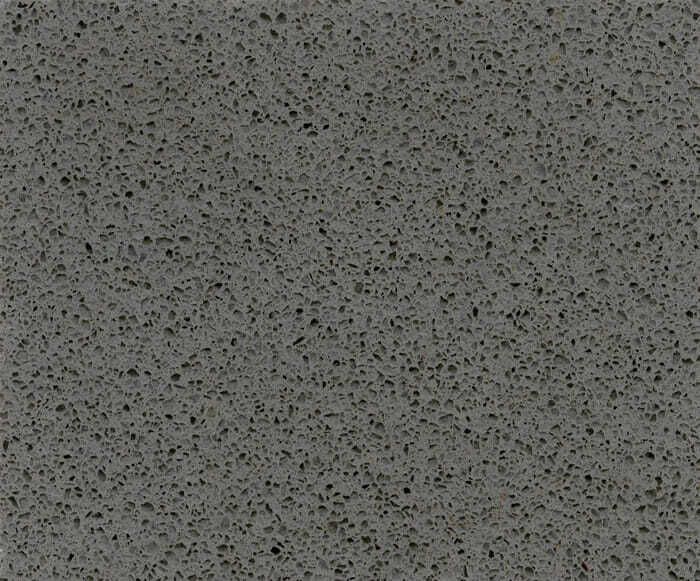 Unlike granite, quartz is not natural – it’s manufactured. 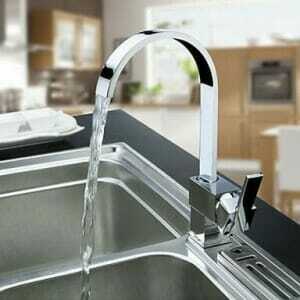 Since the designs are man-made, they can be highly attractive. 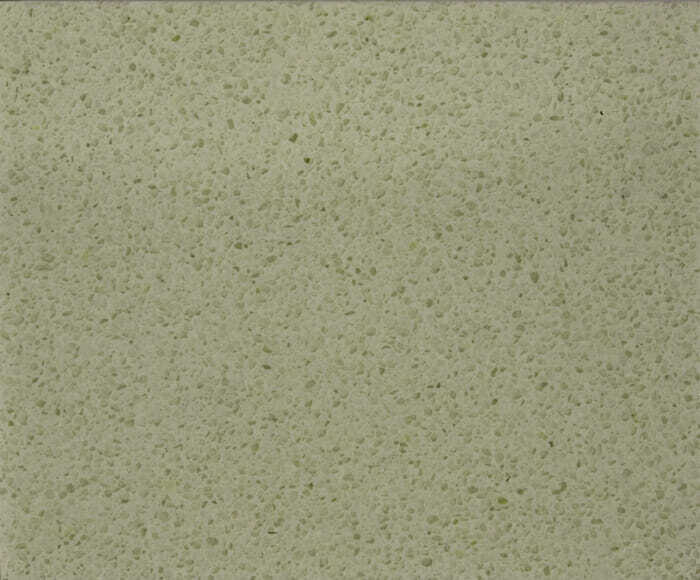 You’ll also find a wider range of colours to choose from. 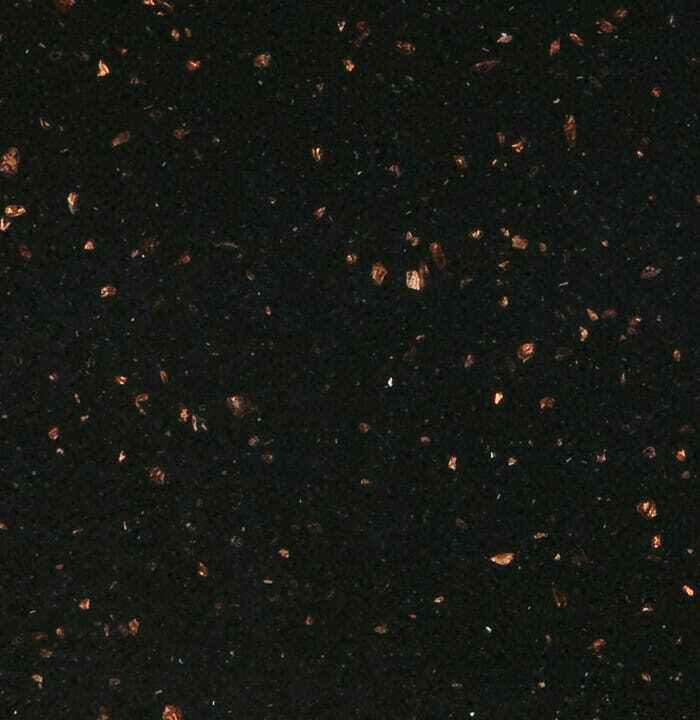 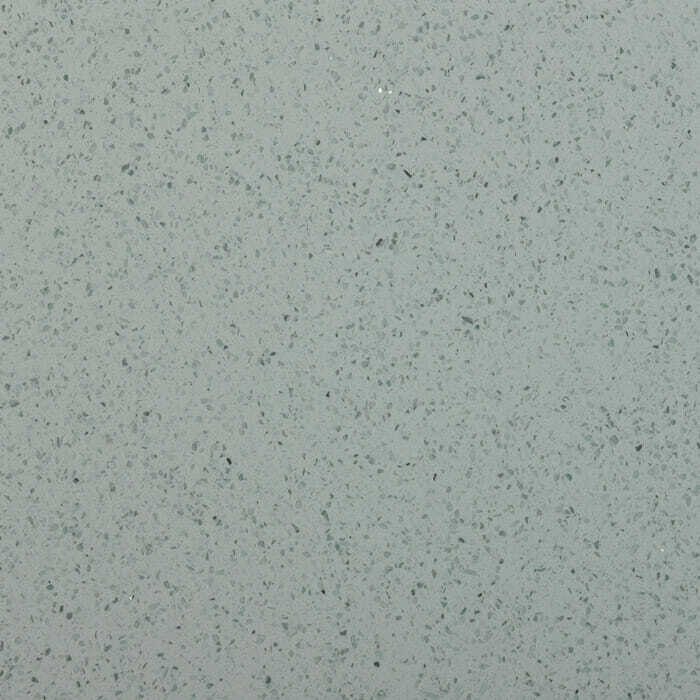 When compared to other worktops, quartz worktops have a unique, glossy finish that’s both luxurious and rich. 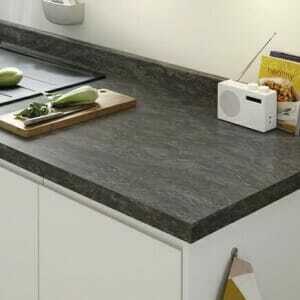 You’ll be able to enjoy your quartz worktops for years without worrying about chips, scratches, or cracks. 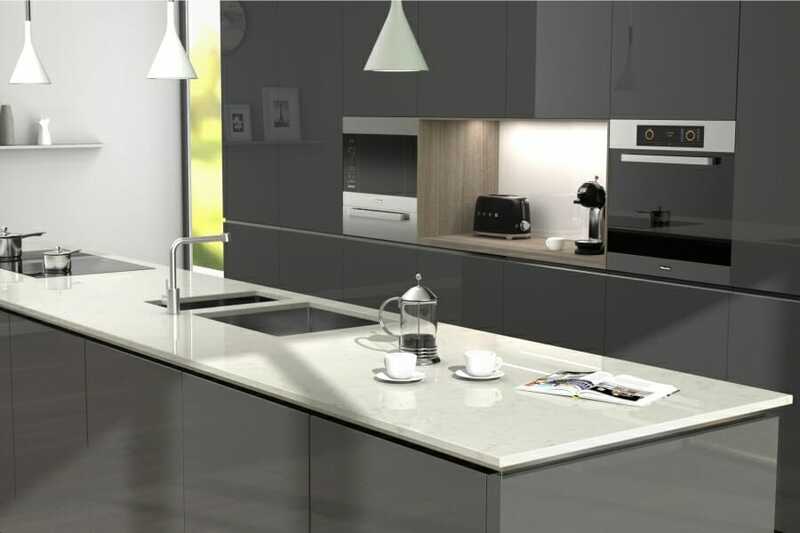 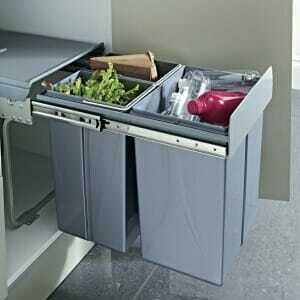 A quartz kitchen worktop will stand up to juice, oil, wine, tomato, coffee, and other everyday spills.  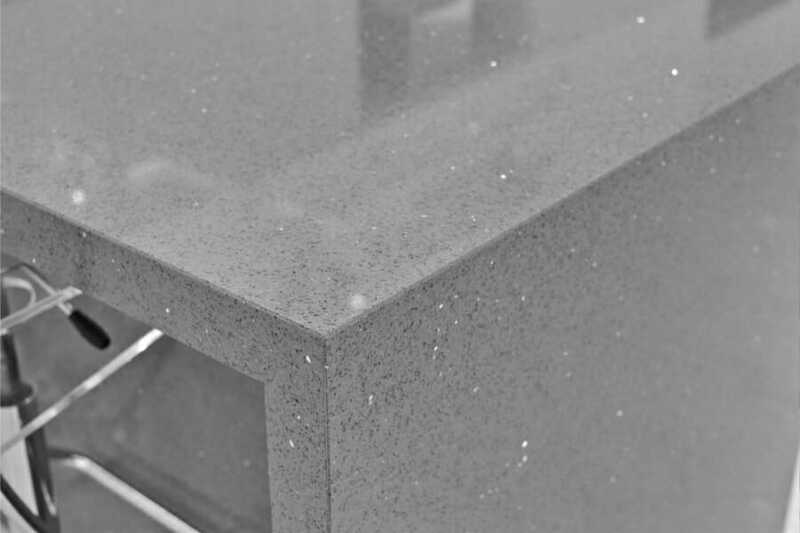 Because of its nonporous surface that naturally repels stains, there’s never a need to have your worktops resealed and cleaning and maintenance is perpetually quick and easy. 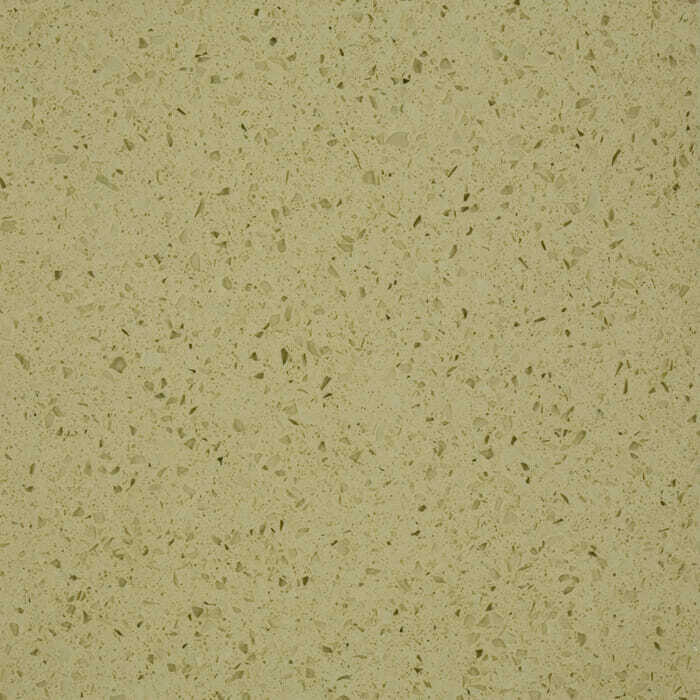 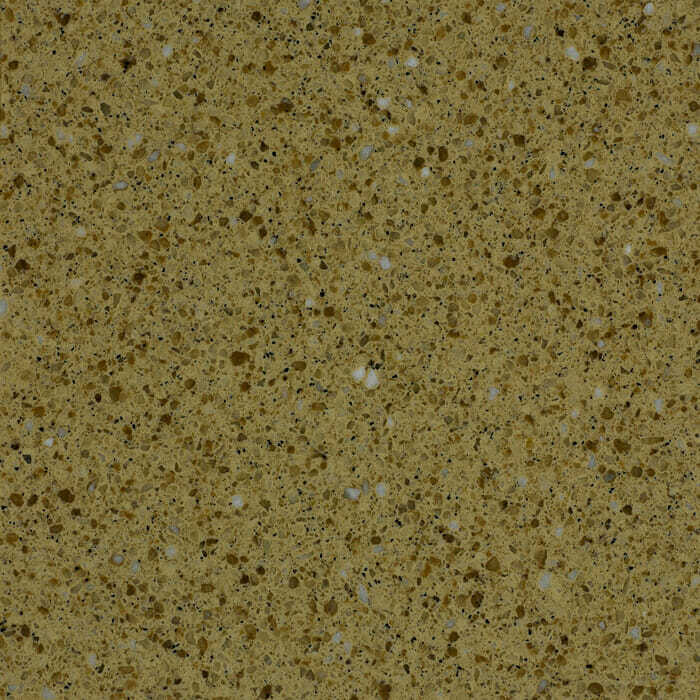 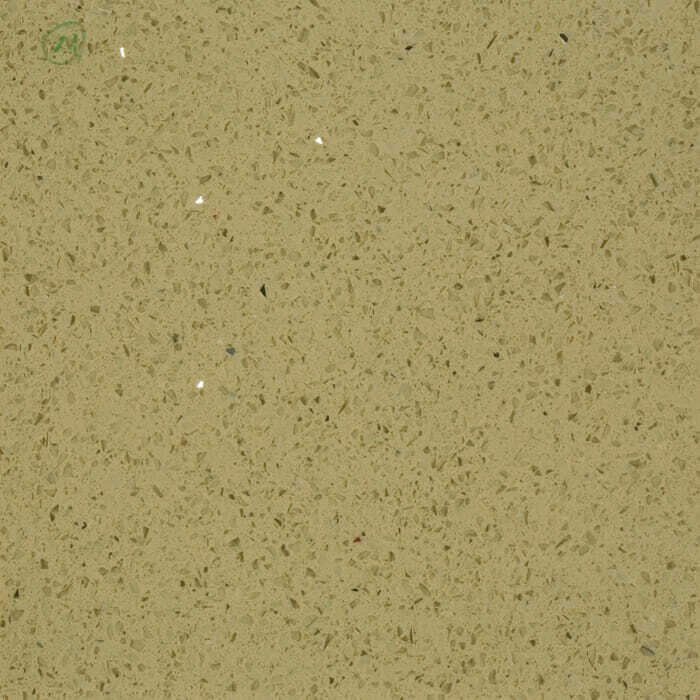 Quartz worktop is easy to clean and keep looking new. 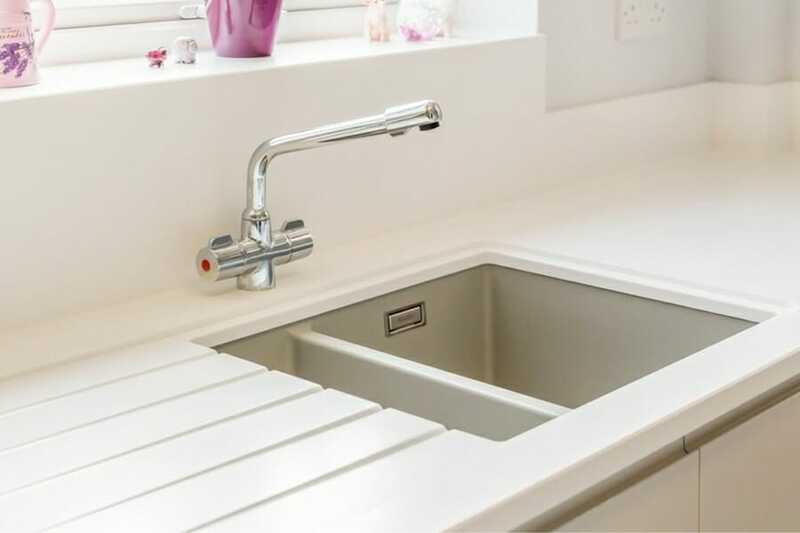 By using a regular soap and some warm water or even a mild detergent, the worktop can look fresh and new. 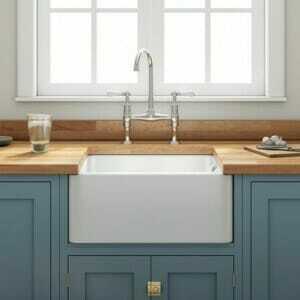 There is no need to buy a special soap for it. 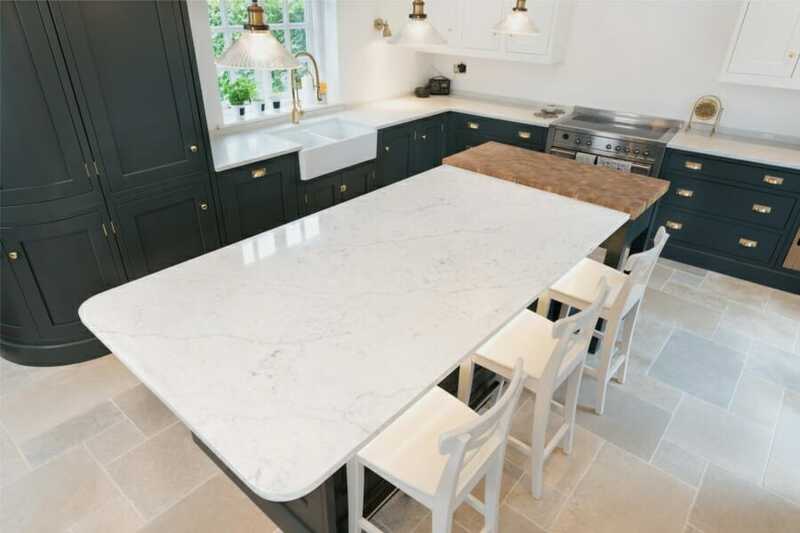 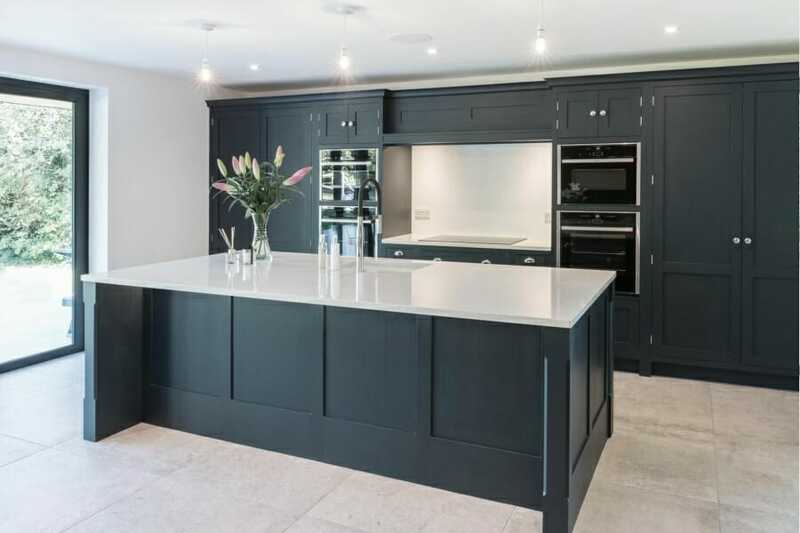 Quartz worktops are expensive, but as quartz worktops become more and more popular, the cost of buying them is coming down. 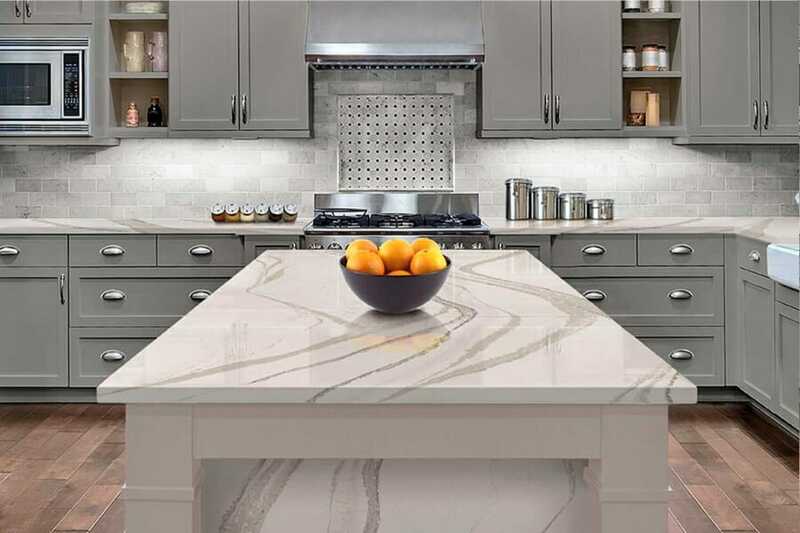 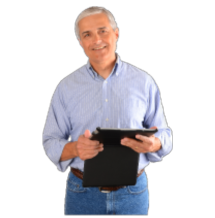 Today, there isn’t much difference between the price of granite and quartz. 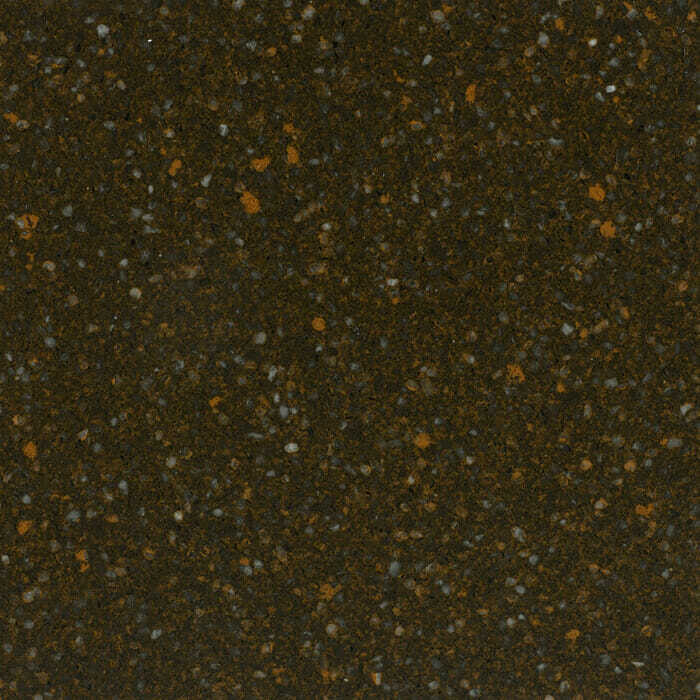 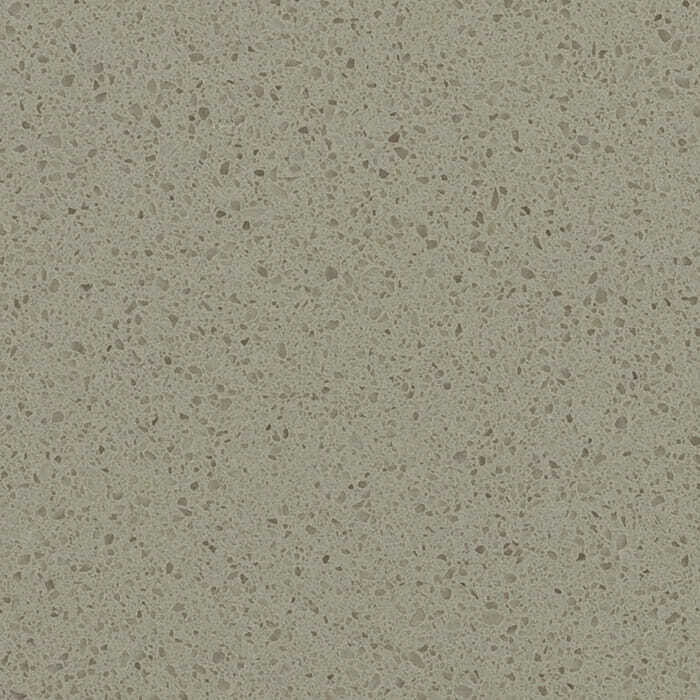 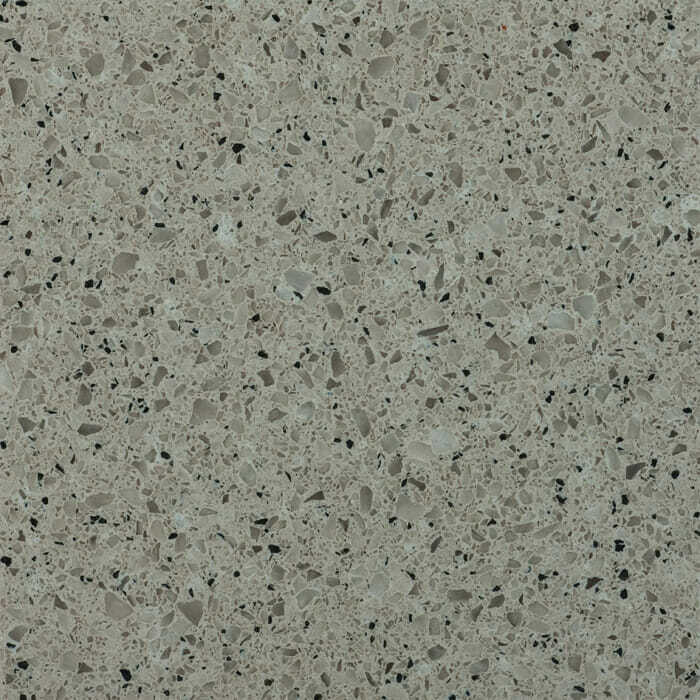 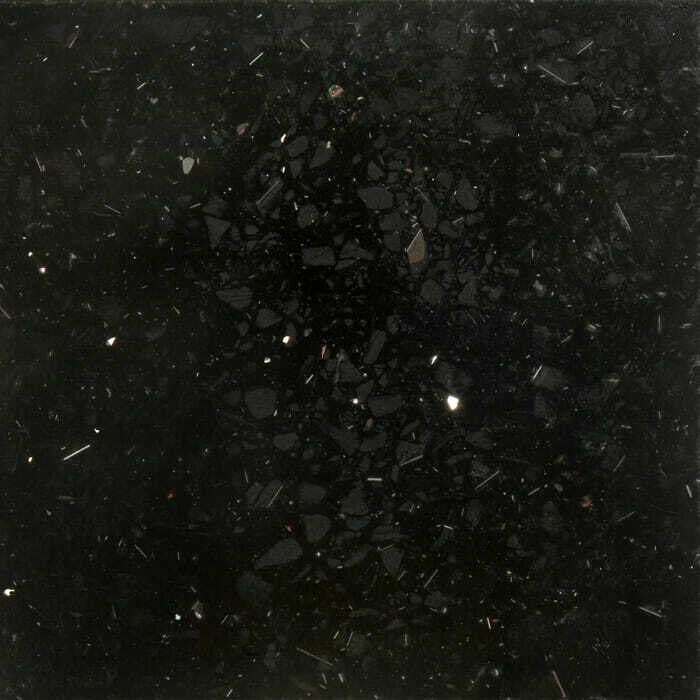 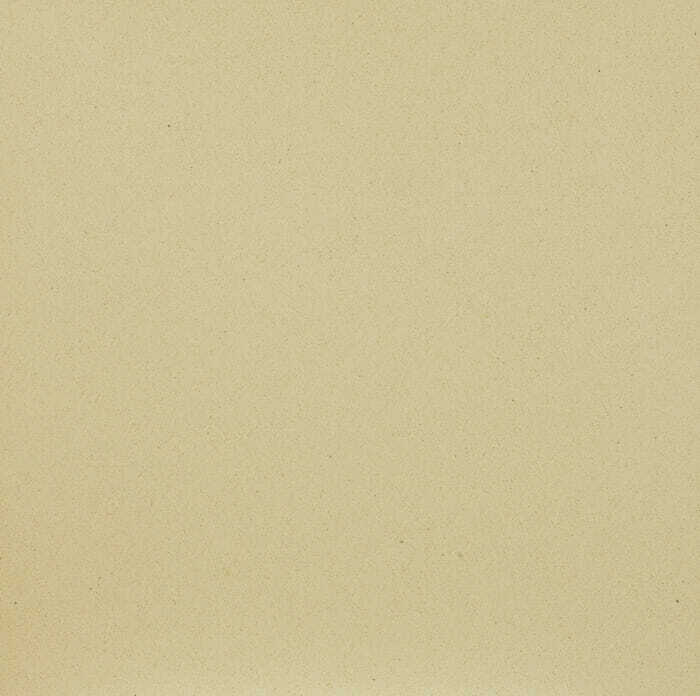 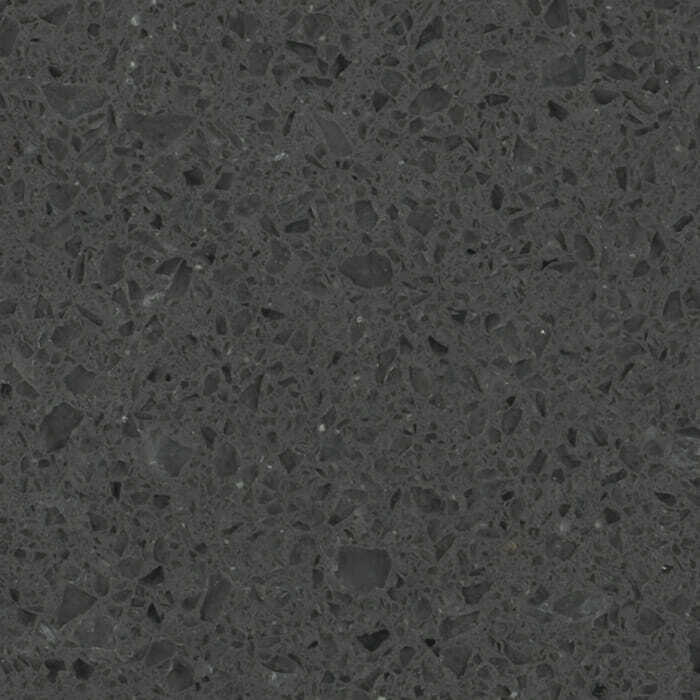 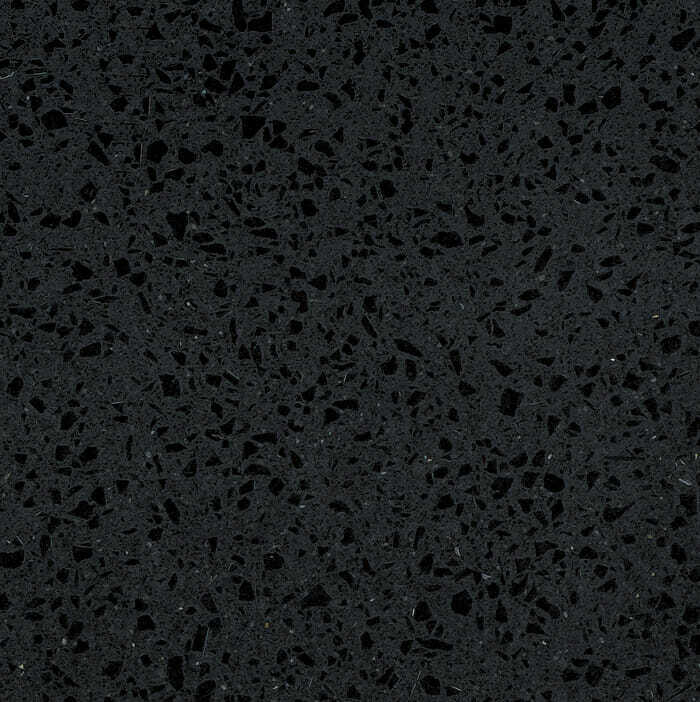 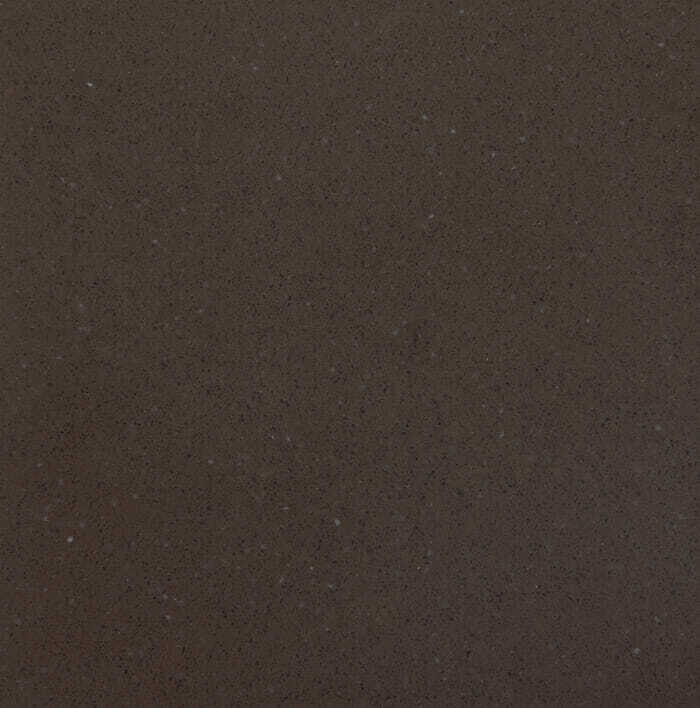 People are choosing quartz for the colour choice and aesthetic value rather than the cost.